Your body has numerous nerves throughout that allow you to feel pain and sensation. You even have nerves in your jaw. Your temporomandibular joint (TMJ), or jaw joint, is closely associated with the trigeminal nerve. Today, your Reno dentists, Dr. William Wager and Dr. Brian Evans, explain what your trigeminal nerve is and what it has to do with your TMJ. Two of the most important structures in your face are the temporomandibular joint and the trigeminal nerves. TMJ: Your TMJ or jaw joint is the most active joint in your body. It helps you chew, speak, breath, and swallow over 2000 times a day. The above repetitive motions can cause fatigue and stress resulting in injury of the jaw muscles especially since your jaw muscles can exert up to 200 pounds of pressure each time they clamp down. Trigeminal Nerve: The trigeminal nerve provides over half of the input to your brain and 40 percent of the input to your head and face. 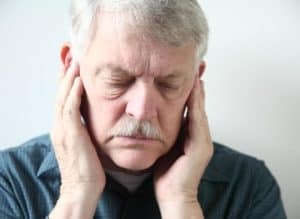 With three branches, the following senses and functions involve the trigeminal nerve: chewing, swallowing, talking, breathing, kissing, seeing, hearing, your sinuses, and your teeth, and can result in problems with the ear drum, jaw muscles, eustachian tubes, and tongue, among other things.